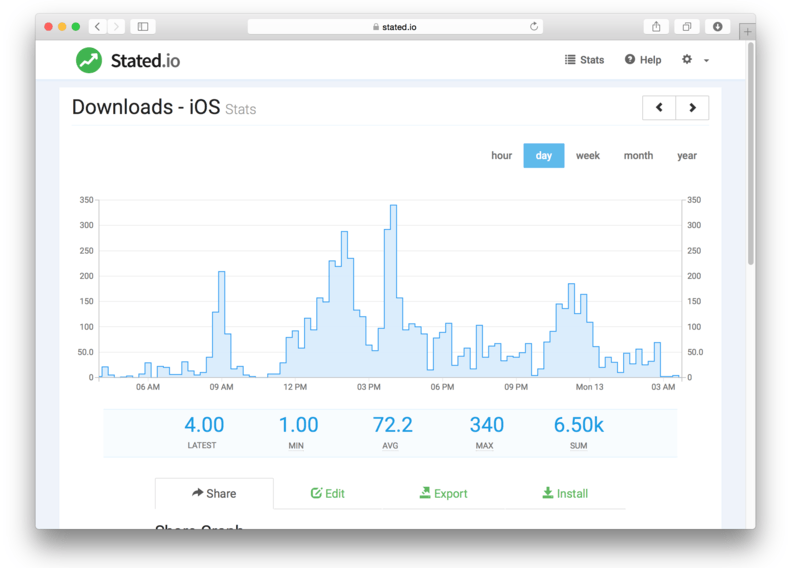 A highly optimized metrics processing pipeline allows us to collect, analyze, and display your stats in milliseconds. Your data is visualized live via interactive graphs and summary stats. 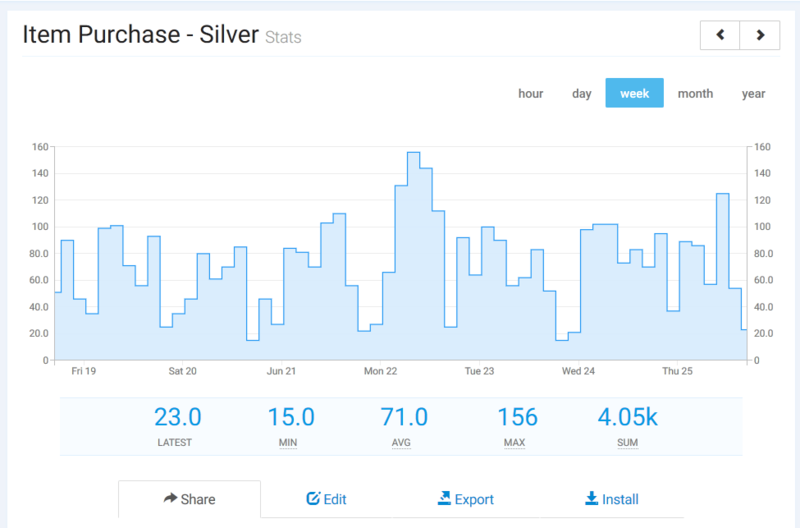 Analyze, share & export your chart in multiple formats. Sending a metric to Stated requires just one line of code! Libraries are available for many platforms and languages. 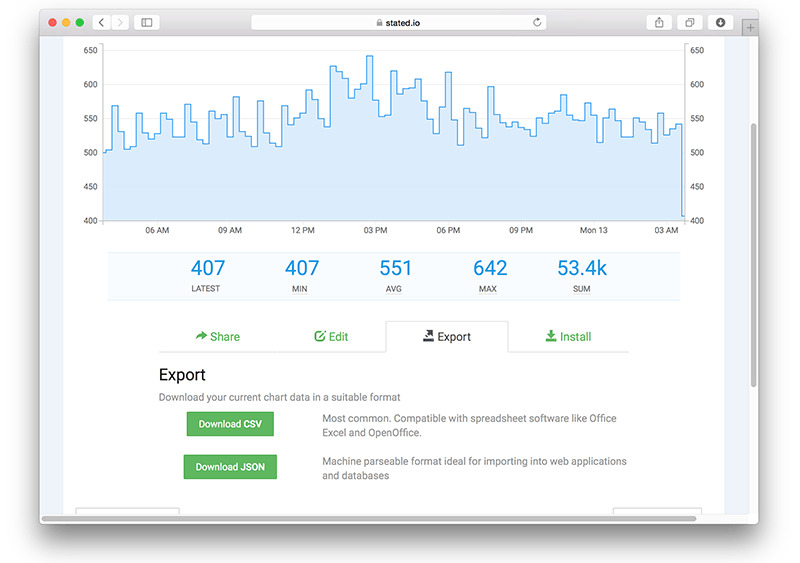 View your data in interactive, real-time graphs. 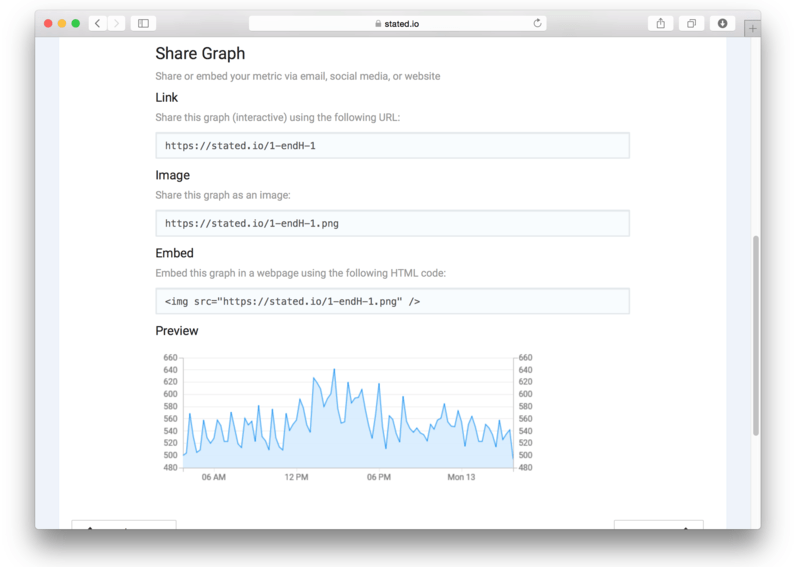 Embed or share your data via emails, websites, and apps. Your data is yours. Export to multiple formats or use our API to retrieve it on-demand.